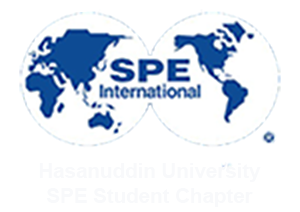 On March 4th 2018, SPE Hasanuddin University SC held English class in solid geophysics laboratory. English class is one of education division’s program of SPE Hasanuddin University SC. English class begun at 04.20 pm by Mr Darwin as english class’s mentor. In this time, Mr Darwin taught about parts of speech especially about preposition and conjunction. Mr Darwin begun with countable noun and noncountable noun. Participants were asked to determined what include in countable noun and noncountable noun. Then Mr Darwin explained the different between countable noun and noncountable noun. He explained that the most important how to different between them is the material which we were focused. Mr Darwin also taught about singular and plural words and the different between preposition and conjuction for countable noun and noncountable noun. He taught how to use “many”, “much”, “a few”, “a little”, “few” and “little”. He taught how to use “so much”, “to much”, “some”, “any” and “ a lot of. Mr Darwin explained them with tasks the he sent to whatsapp’s group. English class end at 06.15 pm. Student chapters are located around the world and provide an operating framework for society activities at a university level.